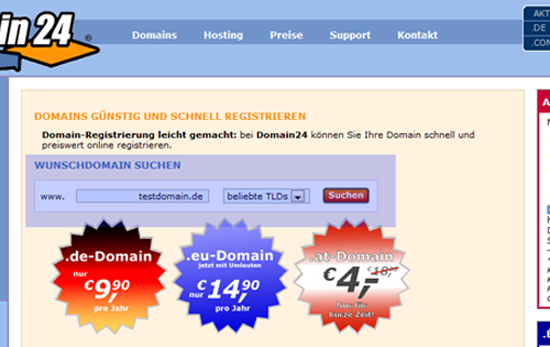 You want to transfer your domain name to Domain24? In this tutorial, we will show you how to do that in just five easy steps. The following tutorial only applies if you know your domain's AuthCode. If you do not know or have one, please check out our other tutorial instead. 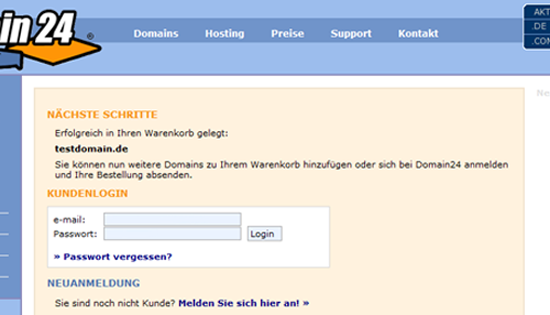 Enter the name of the domain to be transferred into the search box. If you haven't logged in yet, please log in now using your email address and your password. 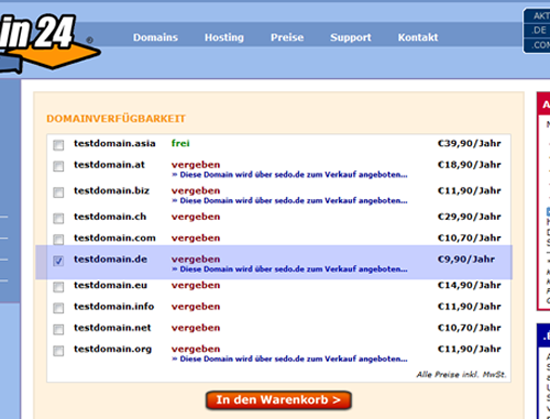 You are new to Domain24? Please enter your personal information and sign up as a new customer for free now. 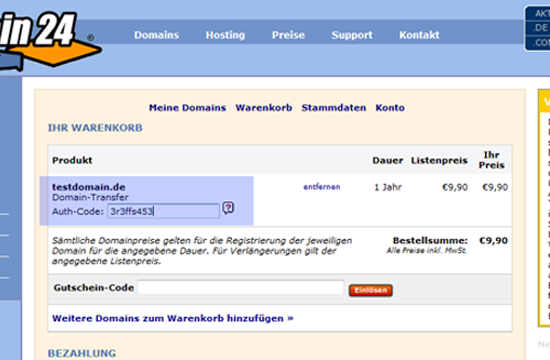 In your shopping cart, please enter the AuthCode for the domain name(s) to be transferred. This code is provided by your current registrar, provider or hosting company. You do not have an AuthCode? After you have entered the AuthCodes as needed, please confirm our terms and conditions by placing a checkmark and click on Submit order. 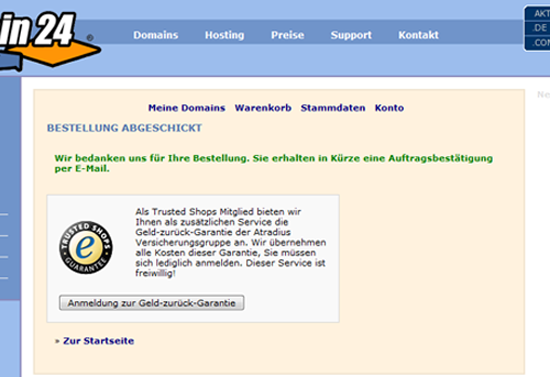 As soon as we have received your order, we will send a transfer request to the registry responsible for the domain name. You will receive an order confirmation by mail within a few seconds. You will also receive a confirmation email as soon as the transfer has been completed.